What Type of Bridal Show Follow Up Are You Doing? After one of our recent bridal shows in Las Vegas, we surveyed the vendors as to how they planned to follow up with the brides they had met. no one said they would mail the bride!! E-mailing the bride is definitely one of the ways you should follow up. 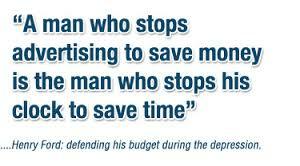 Just make sure you design an effective campaign and time it right and don’t over due it. 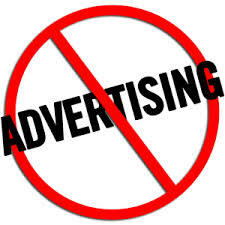 Brides will opt out or unsubscribe if you contant them too many times. With the amount of spam mail everyone receives, you can’t be sure she will receive the e-mail or will respond to it. Calling the bride is not always well received. Today’s brides would prefer a text if you have their cell phone number over receiving a phone call from a stranger. SEND MAIL!!! There was a time when our mail boxes were overflowing and junk mail went into the trash. But check your mailbox, how much mail are you receiving these days? What do you receive in the mail and what catches your eye? A bride is looking at everything WEDDING, if you send her something in the mail that is in the category that she still needs, she will notice it. Target the brides you want, on the wedding days you are available, and send a well designed print piece. 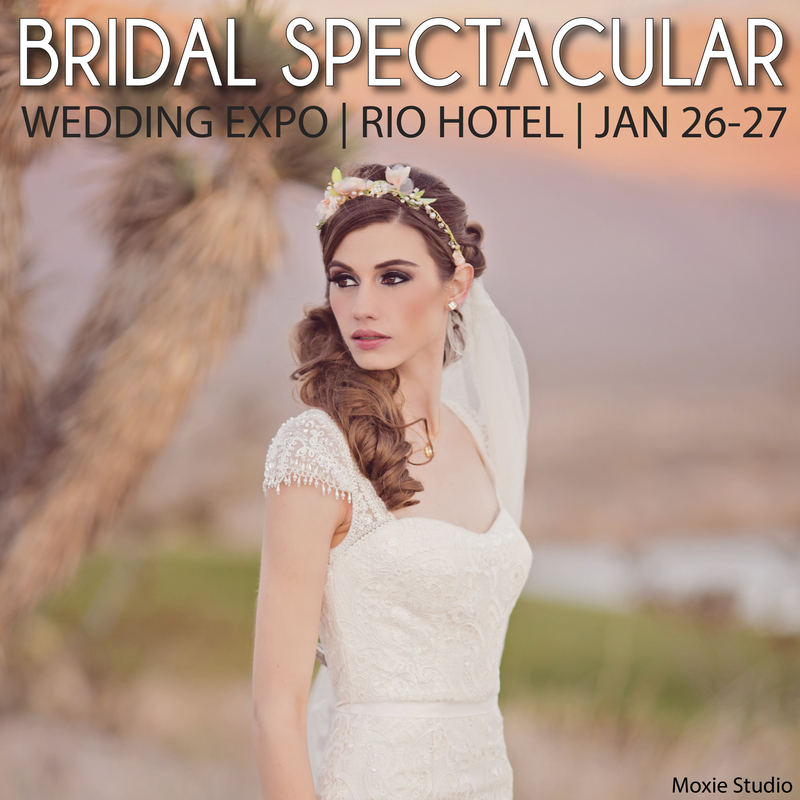 Join the Bridal Spectacular in Las Vegas for our next bridal show, The Bridal Spectacular, no one brings in more quality brides than we do. Big Bridal Shows vs Boutique Bridal Shows- Cattle Calls? Really? 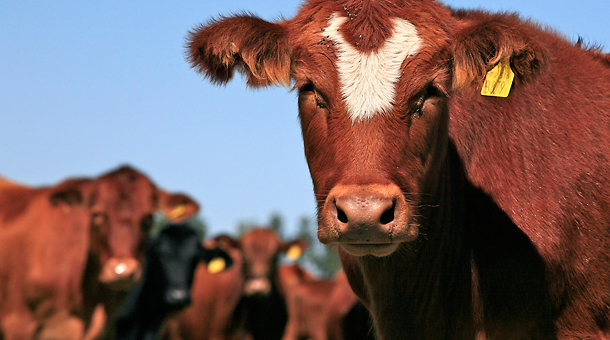 It’s funny that producers of boutique or small bridal shows like to refer to large bridal shows as ‘Cattle Calls’ . As a producer of both large and small bridal shows, we work to make sure all our bridal shows are what the bride is looking for and make sure we deliver the quantity and quality of brides the vendor needs to meet. Many small shows fall short of serving what the bride is really looking for which is a variety of vendors to choose from in every category. Surveys show that brides who attend small shows often leave disappointed because they don’t feel they were able to find everything they need. 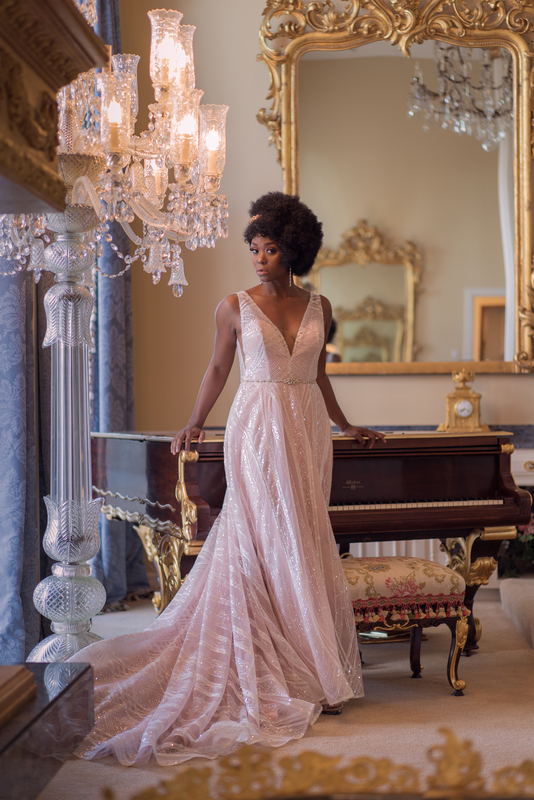 When we hold our boutique event, we still strive to make sure there are enough vendors for the brides to interview multiple vendors and compare information. From the vendor aspect, while small show producers claim you will have a better opportunity to talk to each bride at a small show, not every bride is going to book your service or product. 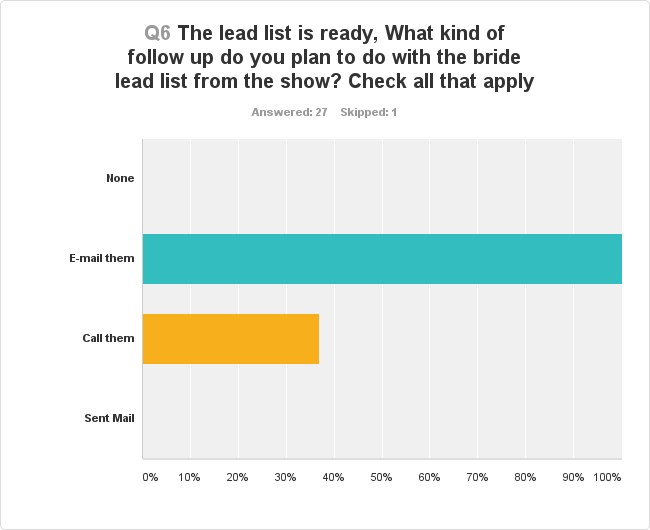 If it’s a 300 bride show and 25% of the brides are interested in your service you may have 50 leads. At a large show of 1,200 brides, if 25% of the brides are interested in your service, then 300 brides could be qualified leads. Finding time to talk to the brides that are qualified as a lead at a large show is a technique the vendor must master. Talking to every bride at a small show does not guarantee the brides are qualified and need your service. Our large shows held over 2 days, are laid out in an organized fashion so the brides can shop in comfort, see a fashion show, see decor trends and collect information. For over 22 years, we have been chosen as the best bridal show in town by both vendors and brides. Smaller shows are held in only 4 or 5 hours which does not always make for a time frame that allows the bride to shop, go home and come back to make important decisions. Giving them coupons to force an at show decision may help close the deal, but will not sway every bride. Whether its our large two day show or our boutique event, we work to get our list available in a week or less. It’s much easier to produce a lead list in less than a week when there are only 300 brides. When you have over 1,000 brides and want to make sure duplicates are weeded out, it will take longer. Some show producers, also like to say they have a more qualified bride, yet many of those shows are free or cheap. How does that make for a more qualified bride? For 22 years we have used tried and true methods including not giving away a ton of free tickets, to make sure we bring in the most qualified group of brides possible, not just ‘lookie lous’ walking through a hotel who need something to do. Only brides are allowed to register and they only get to register once, and if they do manage to register more than once, we weed out the duplicates. For more than 22 years we have designed ALL our shows to keep the bride and vendors in mind. But first and foremost if we did not give the brides what they want, they would not come to our shows in such large numbers. We continue to understand that providing the wedding professional with a large group of qualified prospects is crucial and that is our first priority. Since we produce both types of shows, we find it totally unneccessary and un-professional to call any type of show names. They all serve a vital purpose in bringing brides and vendors together. An audition in which a large number of often inexperienced actors or performers try out.